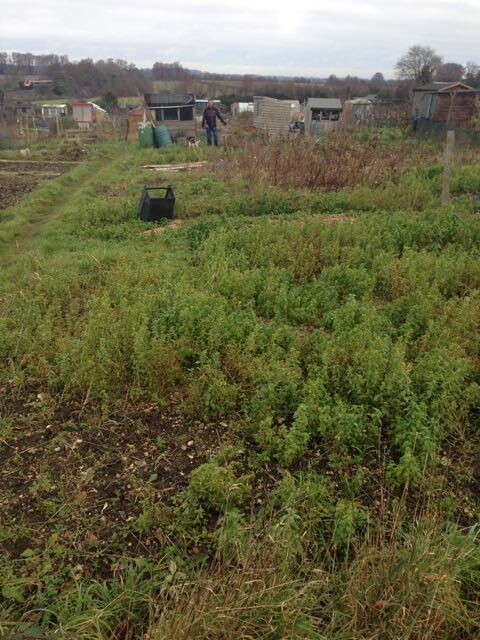 I thought it about time to introduce the allotment to you. It’s very much my thing in terms of the family. 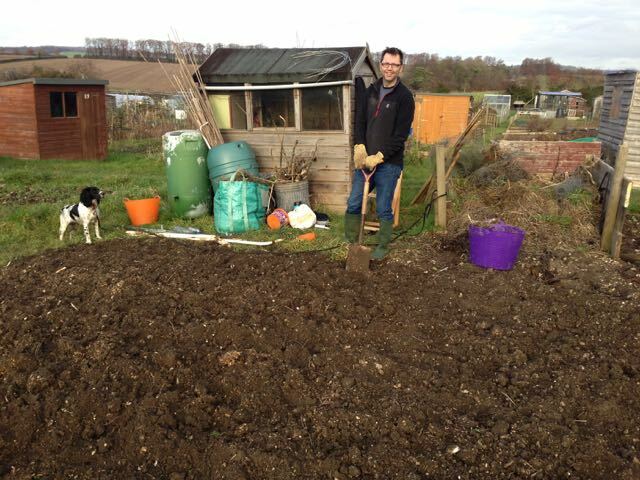 In our previous house I grew veg in the garden, then in our current house I did the same and in November 2013 we were lucky enough to get to the top of the queue and be offered a half plot at our local allotment. It was a little bit overgrown and looking a bit sorry for itself. Thankfully many of the weeds were easyish to pull out and with the exception of bindweed everywhere (that will be a battle over many years I suspect) it’s been ok. It took a while but we got the plot mostly cleared. 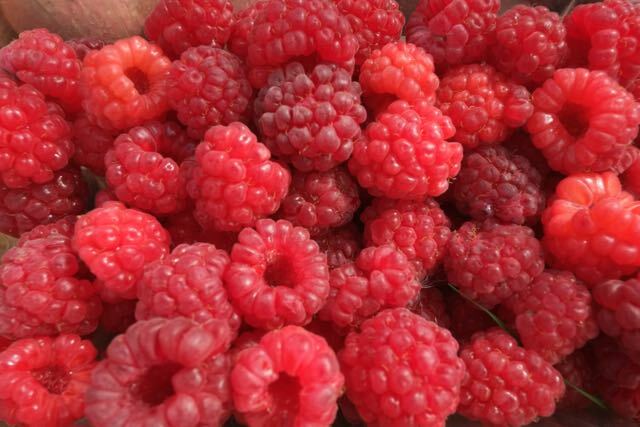 To my joy there is a well established raspberry patch in two rows which form a perfect divider for the plot and some shelter for my fruit bushes. 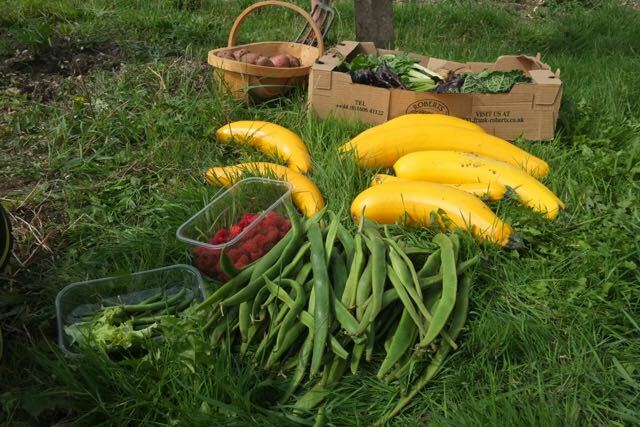 We’ve focussed more on the bottom half of the plot near the shed and had a productive year last year with potato’s, lettuce, more lettuce, courgettes, wonderfully stunted carrots, runner beans, lovely dwarf french beans and a few other things. The strawberries and raspberries were abundant but the apple and plum lost their fruit to wind and the fruit bushes got chewed on by the dog. I had harboured dreams of the whole family enjoying being at the allotment and sunny days spent pootling around but it’s not to be. Everyone loves having the fresh fruit and veg to eat in the house which is great. The boys will come up and help dig or harvest if asked – they work for a bacon sandwich or a BBQ but they don’t enjoy being there that much so it’s mostly my husband and I popping in and out. We had some fun undertaking construction projects as well. There is the beginnings of a fruit cage round the raspberries but the most fun bit was painting the shed. 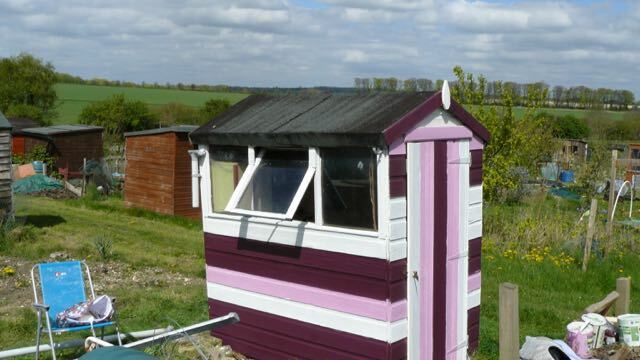 Apparently it’s not normal to paint a shed multiple colours but it’s just so cheery. 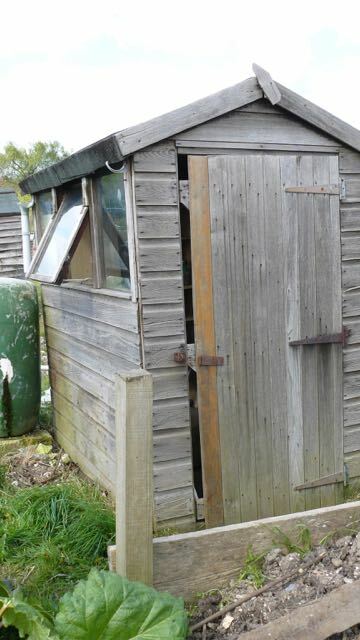 It certainly created a talking point at the allotment and we are now known as the people with the stripy shed. Geeky moment – we were aiming for fibonacci type stripes using the boards of the shed as a guide (where you add the last two numbers together so 1, 1, 2, 3, 5, 8 etc) but we got to three and then realised we could do 5 but not 8 so stopped at three and reversed back to one (1,1,2,3,2,1,1) followed by a kickboard at the bottom in the darkest colour. The half plot we have has been a little neglected since last August when I had a bit of a relapse. 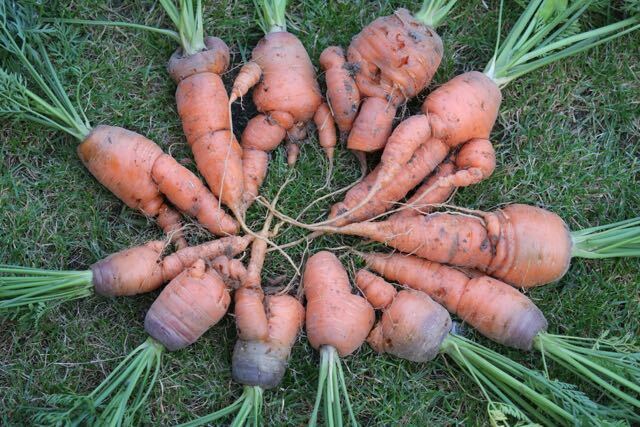 We managed to keep harvesting most things but that is about it. We’re now slowly clearing the plot again – thankfully this time it’s the remainder of last years plants rather than a weed fest. I can manage about 30 minutes of gentle pootling so my husband is doing all the hard work digging and I get to do things like cut out the dead raspberry canes from last year and little bits of weeding. 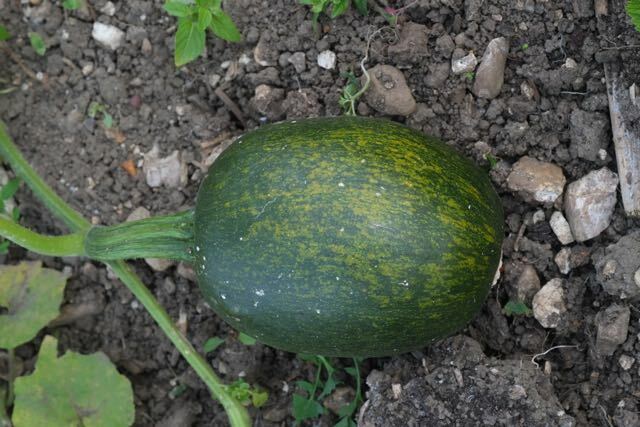 At this time of year, 30 minutes once or twice a week is ok and fingers crossed that by the time things start growing I can do 30 minutes four or five days a week. Little and often is key and focussing on what we have achieved, the to-do list is still there the next time! This year, I’m hoping we continue growing a variety of things. More successional sewing to avoid a glut and still growing mostly from plug plants to make things easier for me. 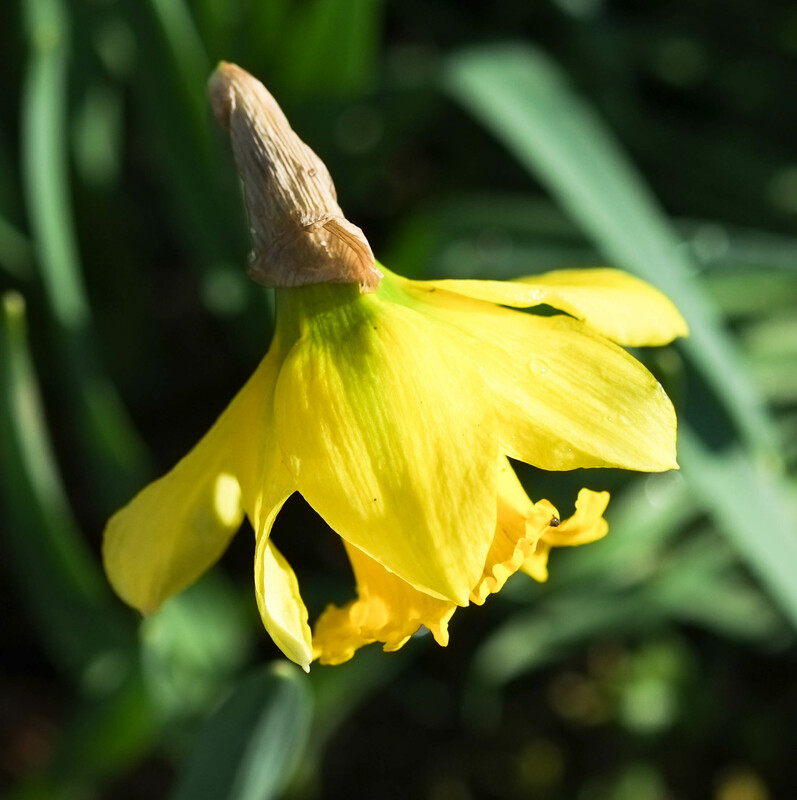 Sunday’s highlight was the first daffs of the season – just lovely.